I am somewhat frequently asked if it is wise to have more than one website as an appraiser. Firstly, let me just say that if you don’t currently have a website for your appraisal business, creating one should be one of your top priorities. It is extremely advantageous for your business to have an internet presence. The idea of having more than one website stems from the idea that it doubles, triples, or quadruples, etc. your chances of being found online. For example, I could have a separate website for each area that I cover, one for Idaho Falls, Pocatello, and Rexburg, etc. Each website would also be tailored to appealing to the potential clientele in the area. While it used to be advantageous to have more than one website, it seems as though this is no longer the case. Google used to take heavily into account your domain name. Now, rather than looking at URL, Google chiefly looks at content. Rather than spending your time creating several professional looking websites. It appears as though your time will be better spent pouring all of your energy and resources into your single website. Having a blog section on your site can help you regularly update your website with relevant content. Google also looks at ratings, which is why it is important to have a Google business page where people can rate your appraisal services (think Amazon stars here). It is also advantageous to have crosslinks to and from your website to other websites. Although I do have some experience in marketing, I am no marketing expert, but I hire those who are experts, so they can help me maximize my profits as a business owner. 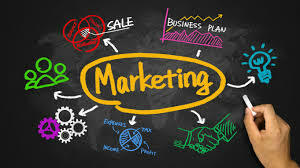 I would suggest that you also seeking expert help on the marketing front as it will pay off in the long run. Good stuff. Starting a website was the best thing I ever did for my appraisal business.